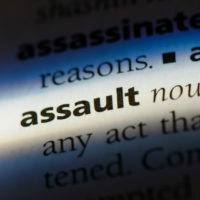 There are a multitude of stories in the news about individuals claiming self-defense to fight criminal charges when they were attacked by someone else. “Stand Your Ground” and the “Castle Doctrine” are defenses available when you use force to protect yourself or another person from bodily harm. Fewer stories about defense of property in Florida make the headlines, however. This type of self-defense is very different, mainly because you are safeguarding a thing instead of a human being. These cases typically hinge on the amount of force you can use to defend your property. Too much force, and you could find yourself arrested on for assault, gun crimes, and other violent offenses. Discuss your circumstances with a Florida assault defense attorney if you are facing charges, and check out some important information about defense of property. You had a reasonable belief that you need to use force to prevent or cease the person’s unlawful conduct. Under the circumstances described above, you can only use non-deadly force when addressing the other individual’s criminal activity. For instance, you may not be able to claim defense of property if you shoot someone who was swimming in your pool. However, you probably could successfully claim this defense if you grab the person by the arm when removing him or her. The exception is that you can use deadly force – perhaps a firearm or other weapon – if you believe it is necessary to prevent the intruder from committing a violent felony while inside. Claiming a Defense Against Assault, Battery, or Other Violent Crimes: Even if you meet the criteria for use of non-deadly force in defense of property, you could still be arrested for battery, assault, aggravated crimes, and other violent offenses. After all, you DID engage in a criminal activity. Self-defense, either for another human or your property, can be tricky because you must first admit to the crime before you can claim you had reason to do it. If you are not successful with a self-defense claim, you will almost always be found guilty. For more information, please contact Fort Lauderdale attorney Kevin J. Kulik to schedule a consultation.